Ranthambore National Park is considered, India’s most earning tiger safari or jungle safari park in the financial year 2016-17. According to Rajasthan forest department statistics, Ranthambore National Park has been ranked first in achieving revenue of Rs 23.06 Cr. Rajasthan forest department has amended online safari booking system for tiger safari or jungle safari in Ranthambore National Park since 15 September 2018. The new online safari booking has opened for the entire season in Ranthambore now. 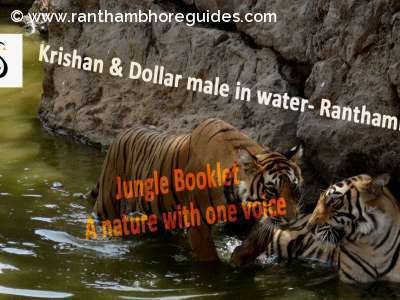 Through, this online safari booking, any wildlife or animal lovers can book Ranthambore safari booking in advance at any time for jungle safari or tiger safari at Rajasthan wildlife because Ranthambore forest department has finished the time limit in Ranthambore online safari booking system. Prior, this timeline was for 90 days before to the date of visit. Advance Online Safari Booking time starts from 10.00 AM, which earlier used to be 12 AM in the mid night. It is noteworthy that main season of the Ranthambore National Park is from 01 st October to 30th June, when all the zones are opened for tiger safari or jungle safari. The new Ranthambore safari booking update has only applied on Regular tiger safari booking while the Half day and Full day jungle safari will be booked as the past norms. 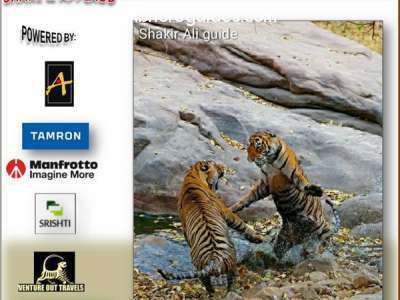 The new Ranthambore safari booking system will benefit tourists who plan well in advance. For late planners it will be a blow. The reason behind of it that there are only 15 gypsies in each shift for zone 1 to 5 in online safari booking in advance. There are about 120 hotels altogether. The zones 01 to 05 are considered the premium zones of Ranthambore National Park. It means that only 90 seats are available in one shift against 120 hotels. Beside this everybody wants to enjoy tiger safari or jungle safari by gypsy.Hence, the tourists need more gypsy vehicles for tiger safari in Ranthambore because available number of gypsy is not enough. So, the management should have addressed the tourists’ problem. Although the other option for the tiger safari or jungle safari is a Canter that is chiefly used by the big tourist groups. If someone wants to go in gypsy without advance online safari booking then Tatkal/instant jungle safari booking quota is also available in Ranthambore . In this system one has to pay 10,000 /-INR extra beside normal charges of entrances, guide fee & gypsy fare. But, it is too costly for the average tourists. Rajasthan forest department gives logic that tourists were unable to book gypsy as the local agents were using some special software for Ranthambore safari booking online. But nobody is focusing that fact about tourist numbers and available gypsy seats ratio. In simple words; we can say that the only 90 seats are available for 500 to 600 visitors in each shift! Therefore, the 90 seats in Ranthambore are like a drop in the ocean. The website for the Ranthambore safari booking was also not up to the mark. Why they made such website which can be easily bypassed by softwares? Even by this new change i.e. opening of Ranthmbore safari booking for the entire season will not be of much help for foreigner tourists as mostly their cards are not acceptable for making payment. The current Ranthambore safari booking system for normal gypsy & canters has also changed. It can be done through the E- Mitra but still not clear the way it will work. Ranthambore National Park is a very busy tiger safari destination in all national parks, wildlife sanctuaries and tiger reserves in India. Ranthambore National Park is carefully believed the best tiger safari sighting place in Indian wildlife. Hence, Ranthambore is getting the number of tourists more and more over the years. So, Rajasthan government must have addressed this big issue as much as possible. Ranthambore Tiger Reserve, which at present is home to around 60 plus tigers, was declared as Sawai Madhopur Wildlife sanctuary in 1955 and in 1973 it gained the protection of `Project Tiger`. It got the status of National Park in 1980. So, how does the new system helps for online safari booking, tiger safari and jungle safari on the ground? 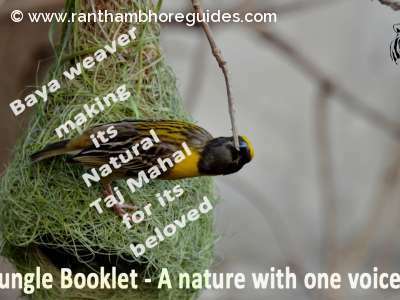 We need to wait and watch for new updates on Ranthambore safari booking. Any way we should welcome the new changes which are done for the better facilities of tourists! Lets enjoy tigers sighting of Dollar male and Krishna together ! On the off chance that you have any question of Indian travelling, if it's not much trouble, drop your question in the remark box. We want to answer you! Much thanks to you, and appreciate it! Trust that you would appreciate it.